MY FRIENDS AND COLLEAGUES know that I like to multi-task I’m happiest when I have 4-5 projects going on at one time. When I learned from Skyhorse that much of the time I would have during “release month” would be spent promoting the book, answering phone calls, doing radio interviews, I was skeptical that I could focus on just that one activity. I had published “Ebola”, which led to one radio interview, and “Cures vs. Profits“, which was great fun to write. So far, however, they have not reached their target audiences. “Every now and then a book emerges that alters the landscape of scientific, political and societal dialogue. 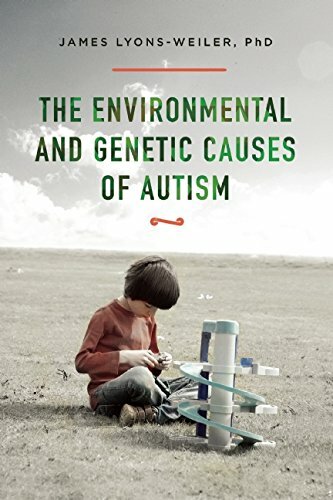 The Environmental and Genetic Causes of Autism is that kind of book, from Skyhorse Publishing. While Louis means well, I would not hope to anger my colleagues, but let’s face it: if, after reading >2,000 studies on autism, as a collection of phenotypes, if I have concluded that vaccines may cause autim in some people due to genetic risk, well, if their response will be “anger”, what can I say? The professionals out there will see the reality of the situation, and rally for science. That’s what I do. I rally for objective, unbiased science for screening biomarkers to protect people and families from environmental toxins. Like a PKU test to protect a child from phenyalanine. Could the answer to the autism crisis really be that simple? No, there are too many relevant sources of toxins. But what I do think is that for the chronic doses of toxins that children are going to be exposed to, there is sufficient evidence for a reasoned, rational pause in the never-ending Punch-and-Judy discourse on autism. There is a need for change, a way to control cumulative exposure, and there are a number of early measures that for some of our informed members of society, there wold seem to hint that may be a real possibility. For one, my Twitter account is blowing up (see https://twitter.com/lifebiomedguru). I’ve never had so many impressions. Similarly, an article I wrote on LinkedIn describing Why I Read >2,000 Studies on Autism has had more reads than anything I’ve published there. The very first book review (by Heather White, of Autism Raw Data) seems fair and balanced, with some insightful criticism. Academic professionals have received advanced review copies courtesy Skyhorse, and I look forward to their reviews. I also now have three speaking engagements being arranged, and a number of radio interviews coming up. This is a start. I need to take a moment to tell those who helped out with “Causes” that I think of every day, I am grateful for your energies, and insights. I am very, very lucky to have connected to you. To follow me on Facebook, visit facebook.com/jamesLweiler. You can also follow The Institute for Pure and Applied Knowledge. Follow @lifebiomedguru on Twitter. And if any reader knows of a pediatrician who might like to receive a copy of “Causes” along with a DVD of the movie “Vaxxed”, visit projectpediatric.com. I will be posting radio interviews as they come, as well as my speaking tour schedule. There’s even a Black Friday BOGO sale going on at Skyhorse for “Causes”. Oh, for for the fellow from New Zealand who found an error in a link on my blog where I mistakenly linked to the wrong Master’s thesis in the Ohio State University database, thank you for pointing that out. You have improved my blog, so I am grateful. Given your curiosity, here is a link to my peer-reviewed publications on Pubmed: Search=Lyons-Weiler, J [AU]. Thanks you so much for this. I will be ordering it shortly from B & N. Your writing improves cognitive function in the reader because it takes a good bit of work to achieve full comprehension; my 67-year-old brain always appreciates a good kick in the pants. I should add that your writing is quite good. Thank you, Gary! That means quite a lot to me, and for any author to hear a reader’s appreciation. James, ‘Causes’ is probably the 14th book I’ve read on the history of infectious disease, immunization, genetics, autism in the last 2 months alone. While I’ve been researching online for the last 4 years, probably 3-4 hrs. a day almost every day, I decided I needed a more comprehensive history. The devil is truly in the details. Our commercial property management firm sent out a notice regarding flu vaccine days for tenants of all of their buildings (jeez, are they getting a kickback too?). I replied to our company with an FYI that the influenza vaccine was one of the few remaining vaccines to still contain thimerosal (with casual mention of the aluminum as well). Of course, I got challenged with the typical parroted warnings about getting the flu (every person I knew who got the flu all had the flu vaccine, doh!). Then they played the ‘what about polio? what about smallpox?’ card. That was all the prompt I needed to find out EXACTLY what about polio? Suzanne Humphries ‘Dissolving Illusions’ was the most engaging of the bunch, together with Judy Mikovits ‘Plague’ (others more centered on autism, vaccines, CDC). Age of Autism was another favorite, but could have used a better editor, IMO. Causes is truly the scientific icing on the cake. I can only assimilate about 5% of it, but I’ve really never seen anything quite like it. Your book came out of a field of analysis previously unknown to me (as a non-medical, non-scientific). I’m only 20% into the book (according to Kindle) and it’s just amazing. It’s taking my understanding of the scientific methodologies to an exponentially greater level. Thank you so much for your comment. I hope you find the rest of book as informative. Your appreciation for the totality of the science in “Causes” tells me my time was well-spent. You may find the chapter on treatments informative, as will your son’s pediatrician, I have no doubt. Kids like your son were the inspiration for my effort on this book. 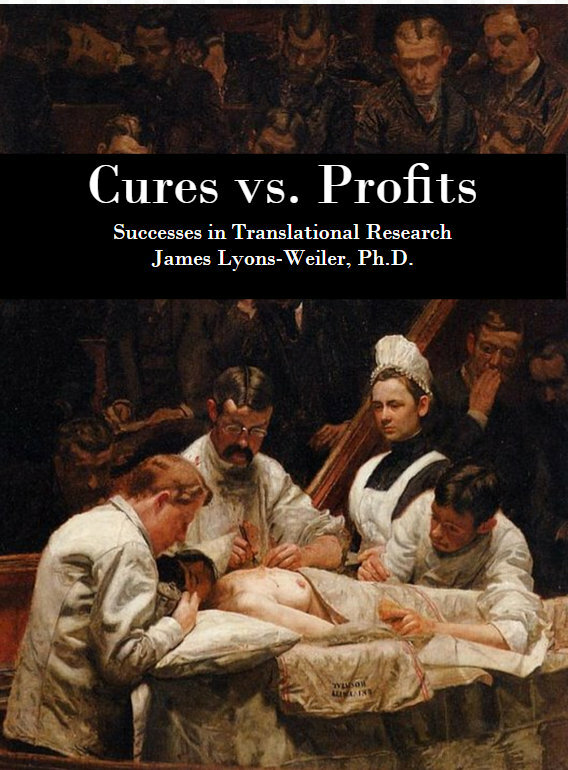 If you find this book specifically informative for autism, you’ll like “Cures vs. Profits” for insights on biomedical research as a process (we’re not making sausage, or at least we’re not supposed to be). There’s a chapter on vaccines in that book, which was also released in 2016. Writing that chapter changed my life. You can also follow me on twitter @lifebiomedguru, where I routinely answer challenges from people who clearly are not familiar with the totality of the science, and on Facebook on my author page (http://facebook.com/jamesLweilerr). Admittedly, I am only part-way in as the energy projected in your book exceeds my voltage regulator. It’s a lightning bolt to the scientific community following this very complex topic. My limited capacity for assimilation is no deterrent. This is THE MOST IMPORTANT BOOK IN PEDIATRICS right now. I am giving copies to all of my various doctors, practitioners, pediatricians (we have many). It is unlike anything I have ever seen or read to date on any topic. To your family, my sympathies. It’s taken me about 4 years of research, 3+ hrs. a day, nearly every day just to build a foundation of knowledge that allows me to assimilate the volume of information available on wellness. My wife is so tired of hearing me talk about wellness, progressively implementing changes in our environment and diet at home, it’s a serious point of contention. For anyone/everyone, it’s a progression. Education and awareness allows me to make better choices for myself and my family. We have some very good practitioners, but I never feel like it’s enough. Perhaps some kids are easier to affect change. If I brought up any of these topics to his original team of allopathic pediatricians, they would have no idea what I was talking about. They were unknowingly culpable in exacerbating his condition since birth. Now, I have almost no scientific background (excepting horticulture, botany, entymology in college). But, I feel like I’m far ahead of even my CAM practitioners in some respects, in examining new products, therapies, protocols. They have many patients, I have just our family. In fairness to the allopaths, I’ve met very few (if any) parents with the capacity or interest to dig in deep. Over the last 8 years that my son has been in private schools that assist kids with autism and related disabilities, I’ve come into contact with many, many parents, teachers, developmental professionals. Attempts to suggest or explain even the most elementary clues as to their son or daughter’s (or students) condition fall on deaf ears, even from the most educated among them (and most have advanced degrees). The very knowledgeable behavior specialists/psychologists, teachers administrators? No clue. I assure you I DO NOT bring up the more controversial and complex. They all think I’m crazy. I really feel for the parents and the kids. They have absolutely no idea why their child is the way they are or that they can do anything about it, other than provide a safe place and ABT in the context of the classroom. The PhD’s that have performed his comprehensive psychological and developmental testing have not a clue when I refer to genetic polymorphisms, environmental toxins, etc. They have not a clue about the microbiome, food sensitivities, chronic infections, etc. Sh#t, I’m no doctor and I found about all this stuff on the internet. It’s right in front of our faces. One of my holistic M.D.’s related to me that when he was in med school, he would append ‘alternative therapies’ as a suffix to any disease he was studying. It’s as simple as that. Why, for God’s sake, for our kids sake are we so comfortable in our collective ignorance? Why is medical practice failing us so badly? I’ve found allopathic doctors to be the most stubborn and ignorant, in part due to their failure to do comprehensive research on the conditions they treat. Early on, I referred to my holistic practitioners as ‘alternative’, but in time I realized they were the only ones willing to do even the most basic labwork to identify and potentially address root cause. THEY DO NOT EVEN ASK THEMSELVES the question of root cause. Apologies for the length of this reply. I am in constant state of questioning, learning, wondering. I want others to see my thought processes. I have a much better ideas as to how all this happened. But, I truly do not understand. Just finished. Very impressive encyclopedic compendium of known and possible causal factors for not only autism, but vaccine injuries in general, and a superb guide for the multiple directions new research should take, rather than spinning in circles, as so much tax-funded research has done. Senator Warren should read this book, and Bernie, too. They are two of the very few politicians I trust to guide their actions by a code of honor rather than the wishes of lobbyists. Dr. Price, the Secretary-designee of DHHS should read it, as well. Thank you for this fine piece of work!